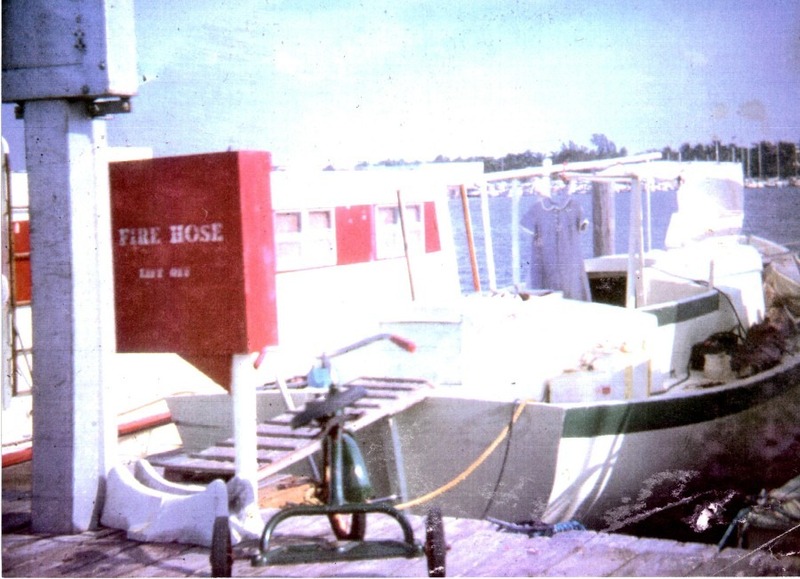 This story appeared in the July-August 2014 issue of Good Old Boat magazine. My brother, Boo Boo, materialized in a crib in the dining room in 1964 about the time Dad birthed a boat in the living room. I was in first grade at Shenandoah Elementary. Mom worked nights at Jackson Memorial Hospital, and Dad ascribed to the let-the-baby-cry school of nocturnal parenting. I could never figure out in the morning why my baby brother didn’t eat the bread or apple I put in his crib in the middle of the night. Dad had to take apart the sailboat/rowboat to get it out the front door. 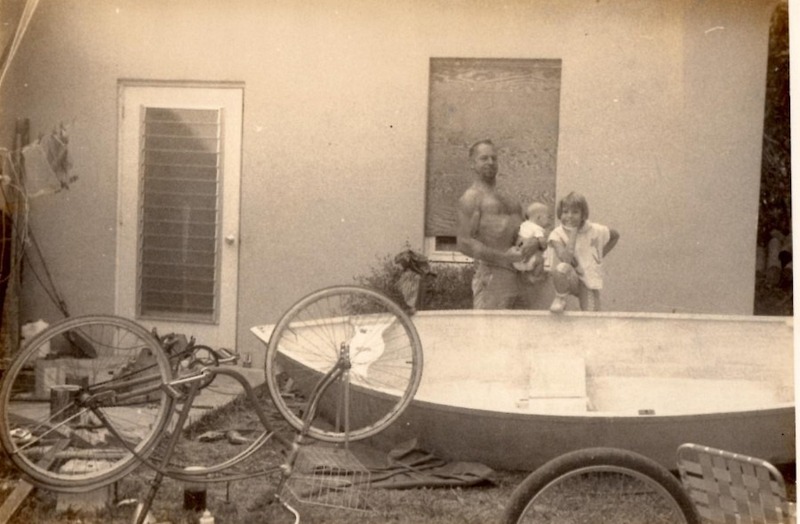 After reassembling the dinghy and proving it seaworthy, Dad went to work on a forty-foot yawl in the back yard. I was not impressed. He’d merely moved his lumber, power tools, and sawdust outside. His job lifeguarding and managing Shenandoah Pool, however, scored mega points. Whenever I was off school, I pedaled to the swimming pool for a day of mermaid-dom—pruning my fingers, baking the chill from my skin on the warm cement, plummeting off the high and low dives, and jetting across the street to the candy store when Dad wasn’t looking. Chlorine was king, and I was pool-rat royalty. 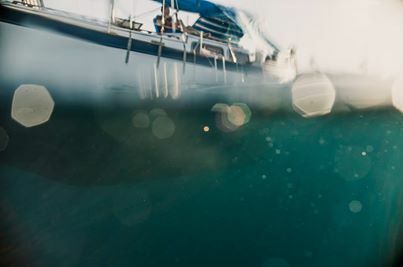 At home, the boat rose from the yard like a bloated, capsized canoe beside my banyan tree. I watched Dad work from my tree “house” where my over-active imagination saw a front door, multiple rooms, and back stairs. When Dad’s radio opera music chased me away, I headed for my fort in the bushes behind the boat where I pretended I couldn’t hear Dad hollering for me to pick up wood scraps. During the day, Dad hosted pre-school swim lessons, tested chemicals, and hosed the smell of urine from the locker rooms with disinfectant. Boo Boo went to the Cuban babysitter’s. Mom went to bed. And I braided my hair for second grade where I threw up on my desk, and earned daydreams too much on my report card. 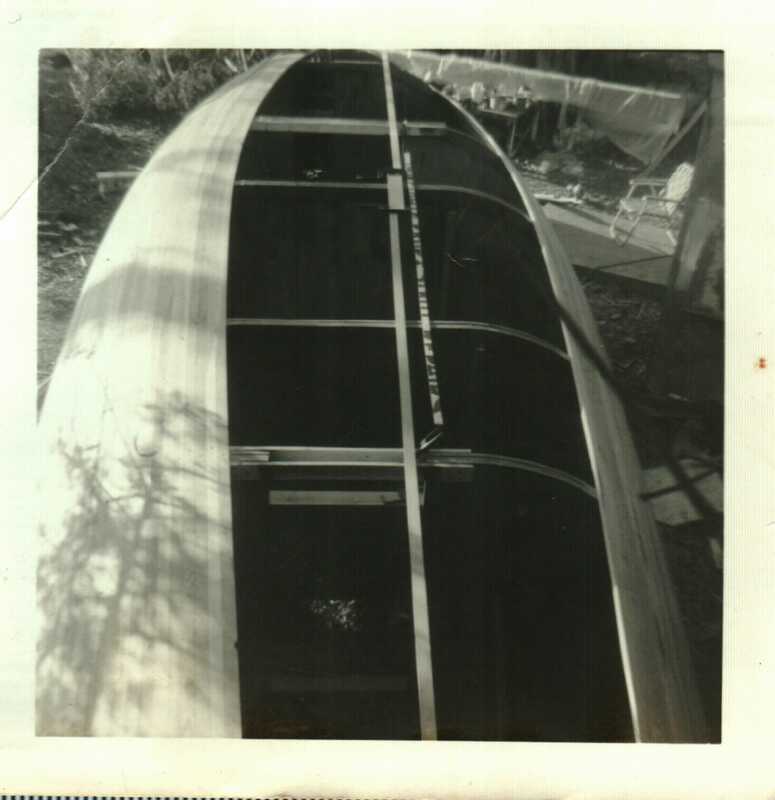 After the hull was completed, Dad papier-mâchéd fiberglass—crosstitch-like material—to the wood planks with resin. This was my least favorite part of the process. The cloth itched something fierce. The lid on a five-gallon can of resin gave way, and my left leg plunged knee-deep into the sticky, stinky goo. For years I thought that’s where I got the (birth) mark on my calf. 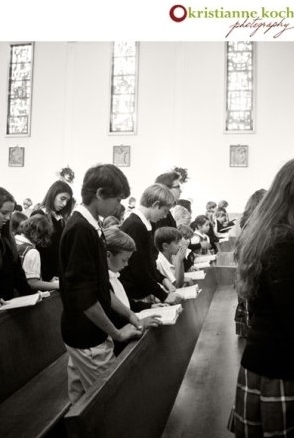 On Saturday mornings I went to catechism classes at St. Michael’s where I learned how to read hymn verses line by line rather than in paragraphs and how to sit in a dark cubicle and think up sins. I snagged fame for forgetting breakfast and fainting during First Holy Communion practice. On Sundays, Mom spirited us kids to mass in Latin amid a sea of orange juice can hair rollers, and paid us in pancakes at The Golden Nugget. 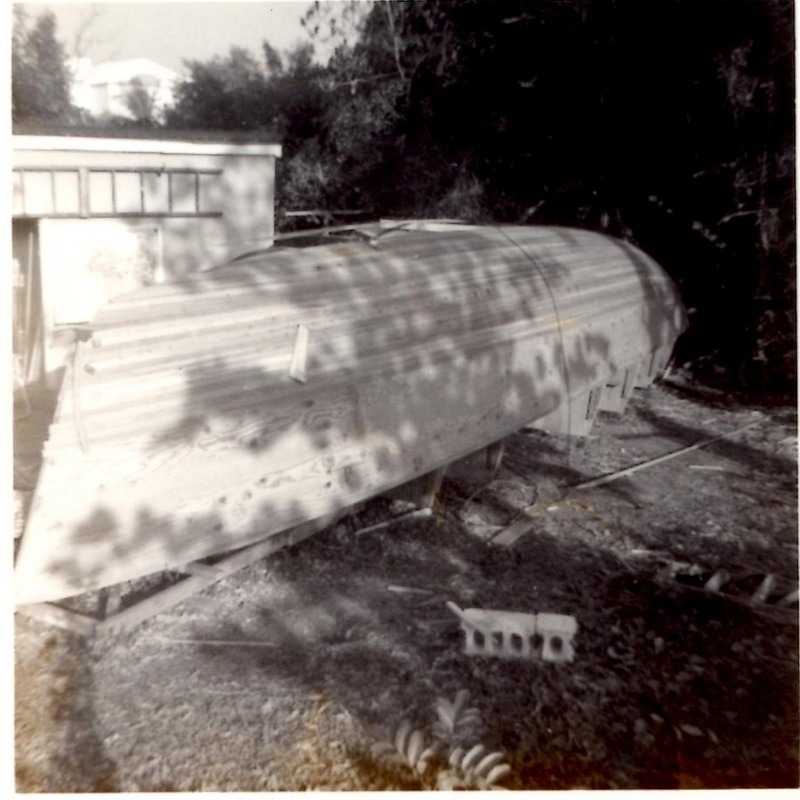 Dad layered fiberglass and resin on the hull until it was waterproof and strong enough to withstand bashing into a coral reef and a seawall, multiple running aground episodes, and a hurricane. 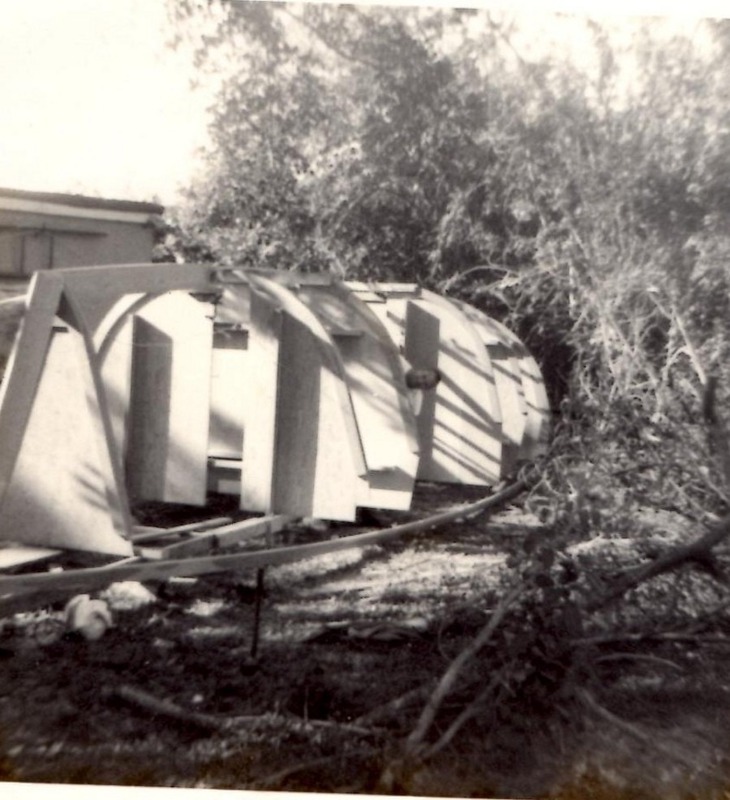 A crane mashed down the grass in our yard one day when I was at school and flipped the boat right-side-up, keel down, on Dad’s homemade jack stands—an event that ushered in change. Dad quit his job to babysit and boat-build full-time. While Dad played with power tools, putty, and paint, I ran free in our half-Cuban neighborhood. 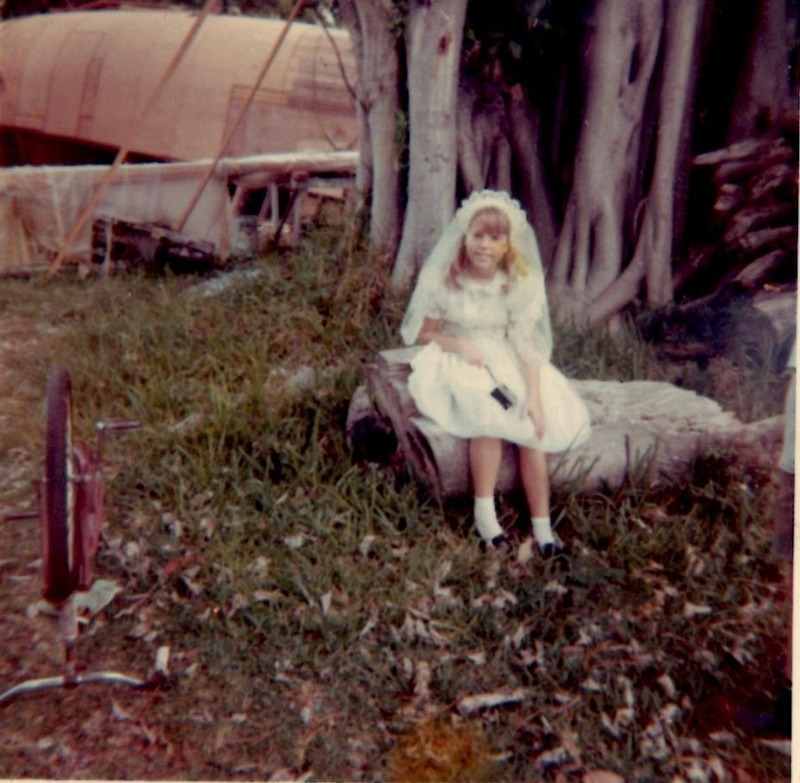 The Cubans’ homes were easy to spot by their tidiness, but I didn’t realize how white-trashy they thought we were until Lourdes and Pupe’s mother polished my saddle shoes before taking me to the movies. Thanks to my Cuban playmates, I picked up an impressive blue Spanish vocabulary. Though I never figured out which words were bad and which were really bad. Even though Boo Boo had shown up with his devil-made-me-do-it grin, white angel hair, and affection for dirt, Dad didn’t wish any less that I’d been born a boy. No matter how high my puny, grade-school arms heaved me up the rope that hung from the banyan tree, I never made it to the top. I raced up and down the sidewalk on my Dad-crafted skateboard and scooter. I spattered my report cards with A’s and B’s. But I never won the carnival prize of Dad’s approval. Dad’s friend, Penny, stopped to check on his progress with the boat. I did my look-at-me, look-at-me, aren’t-I-cute little girl dance one too many times. Dad told me to stop flirting and sent me into the house. After ferreting out the definition of flirt, I announced I was running away. Mom offered to help me pack. Even at the time, I suspected she was using reverse psychology. I hiked to the end of our very long, shade-less block before slumping my shoulders and heading home. At the end of fourth grade, the crane rumbled back, puffing black smoke. Huge straps belted the boat. The machine surged to life, groaned, and lifted the ark into the air. The jack stands collapsed onto the dirt like pick-up-sticks as the boat crept skyward. At the Miami River, the process reversed. The crowd of friends and well-wishers held a collective breath as the straps released. The boat floated for the first time. Dad whacked the bow twice till the champagne bottle broke, christening our boat. Two weeks later, the boat bobbed beside Pier One at Dinner Key Marina. My church dress dried in the breeze—our only sail on the still mast-less boat. I wrote down thirty-eight possible names in an hour and a half, but Dad said I hadn’t come up with the name yet. I sighed. As usual, I didn’t meet Dad’s expectations. I jumped overboard and swam around to the tee at the end of the pier where the other kids were doing cannonballs off the end of the dock. 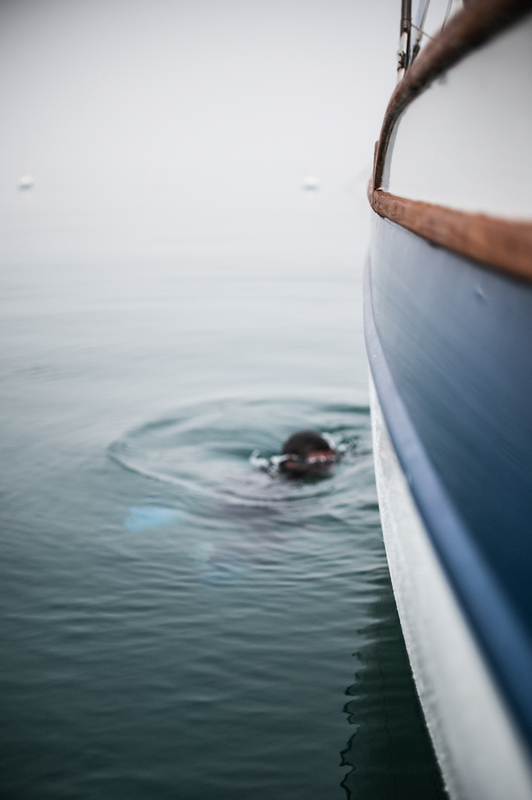 Later, I treaded water at the stern of our boat, blinking salt water out of my eyes, waiting for the black shapes to come into focus where Dad had affixed our boat’s name to the transom. My throat tied into a knot. Up on deck, Dad grinned down at me. BACK COVER: After an epic fail in the hetero world, Ash Jackson heads cross country to Arizona to figure out his bisexuality and make peace with himself and God. Nashville Star Samma Templeton’s music career bankrolls her future husband’s political campaigns. But she throws up before every concert and feels relegated to an item on the senator’s calendar. When Ash moves into Samma’s apartment building their childhood friendship resurrects, and Samma must choose between promoting a political agenda that will benefit millions or following her heart. Ash must face his inner demons for the girl who was his past and feels like his future.